Designed in house by Blu Dot in Minnesota, this best-selling chair in the US is exclusive to Heal's in the UK. 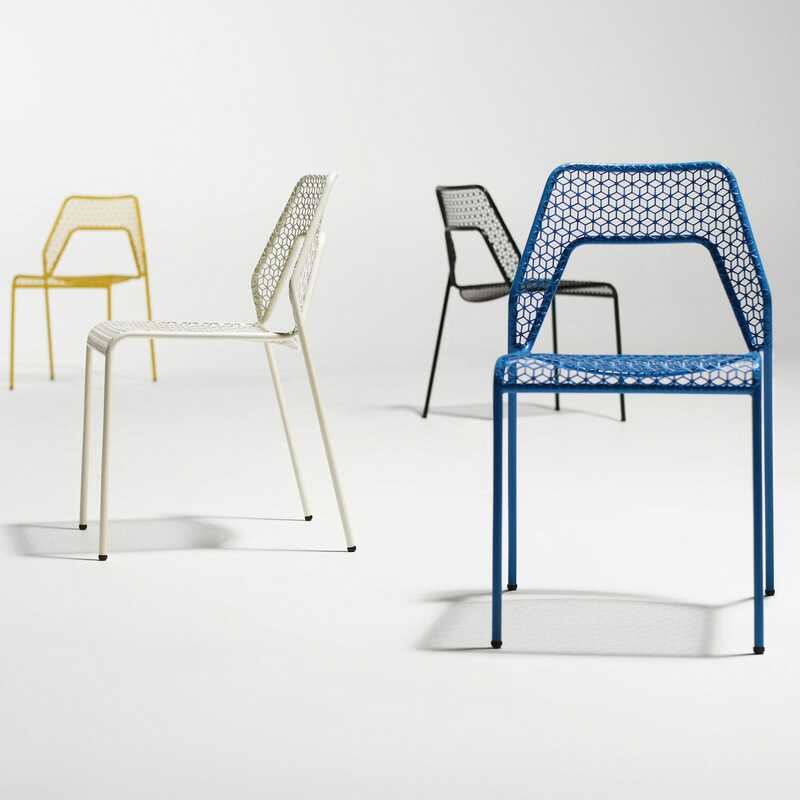 Inspired by classic wooden steam-bent bistro chairs, the use of steel tube and mesh gives a modern rendition of the interlocking rails and woven seat of the original. More comfortable than it looks. Stylish and fits well with the desk.